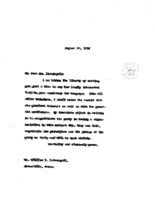 Date is exactly "1913 August 13"
Woodrow Wilson congratulates William R. Pattangall on his candidacy for Congress. 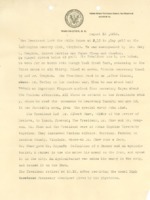 Cary T. Grayson describes President Woodrow Wilson’s day and favorable news about the situation in Mexico. CG Spalding sends President Woodrow Wilson cream for insect bites.